In 1997, the Digimon franchise was launched, evolving from a popular digital toy to an adventure-packed feature film, multiple TV series and more. Fast forward 17 years and the Japanese retro creation has continued to build on its international popularity. The Official Digimon Adventure Set: The Complete Second Season is commonly referred to as Digimon Zero Two, it finds most of the original characters now in junior high school, with the Digital World supposedly secure and peaceful. Digimon Adventure: Volume 2 is a specially-priced offering continues the incredible tales of the seven children -- Tai, Matt, Sora, Izzy, Mimi, Joe, and T.K.-- forced to battle Myotismon, a villain who wants to prevent the group from activating greater powers by capturing the eighth DigiDestined child from the Real World. New York, NY - In 1997, the Digimon franchise was launched, evolving from a popular digital toy to an adventure-packed feature film, multiple TV series and more. Fast forward 17 years and the Japanese retro creation has continued to build on its international popularity with over 100 global licensees and its first official U.S. DVD releases from Flatiron Film Company, a label of Cinedigm (NASDAQ:CIDM), in partnership with Toei Animation. 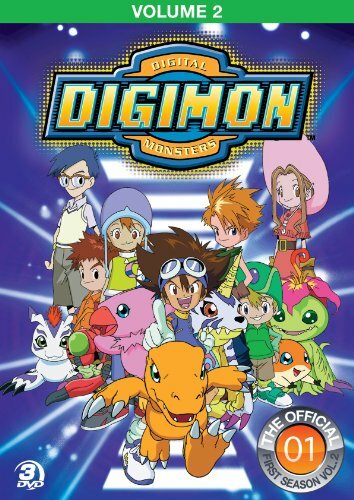 The Official Digimon Adventure Set: The Complete Second Season ($79.95srp), an 8-disc collection featuring all 50 complete, unedited episodes and Digimon Adventure: Volume 2 ($19.95srp), a specially-priced 3-disc set including 18 full-length episodes from Season 1, follow the first Flatiron releases in 2012. Both sets are the English versions from the U.S. broadcast and will be available to the far-reaching fan-base and new generation of viewers on March 26, 2013. For the uninitiated, there are five complete seasons in the Digimon Franchise (not including the sixth, soon to launch as "Digimon Fusion" on Nickelodeon later in 2013), but fans consider Seasons 1 & 2 to be the original, classic episodes. It is these episodes that have never been officially released in the U.S. until Flatiron unleashed them in all their digital glory. Season 1 found seven kids who, while at summer camp, discover seven "Digivices" which transported them to a strange digital world. It's here that these "DigiDestined" befriended Digimon -- short for Digital Monsters -- who were born to defend their world from various evil forces. 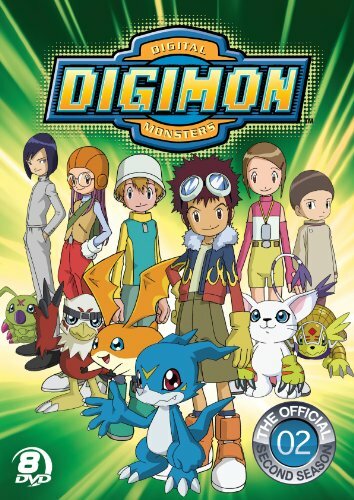 After learning they have the ability to help their new Digimon friends "digivolve" into different monsters and fight as a team, the kids form a pact and hope the digi beings can ultimately help them find their way home. The Official Digimon Adventure Set: The Complete Second Season is the direct sequel to Season 1, and takes place four years after the original series. Commonly referred to as Digimon Zero Two, it finds most of the original characters now in junior high school, with the Digital World supposedly secure and peaceful. However, a new evil has appeared in the form of the Digimon Emperor, a human just like the DigiDestined, who has been enslaving all Digimon. Four new children -- Davis, Yolei, Cody, and Ken -- are chosen and along with T.K. and Kari, make up the new generation of DigiDestined, charged with saving the Digital World. Together they journey back to the Digital World to battle the villainous Emperor and free all the Digital Monsters from his control. For the first time ever, THE COMPLETE SECOND SEASON is unleashed onto digital and DVD and will include all 50 exciting adventures never before released in North America. Fans of the series will also thrill to bonuses including a full-color 36-page character guide book and a gallery featuring more than 40 villian Digimon sketches. Also being released is the 3-disc set Digimon Adventure: Volume 2 . Featuring 18 episodes across Story Arc 3 in Season 1, this specially-priced offering continues the incredible tales of the seven children -- Tai, Matt, Sora, Izzy, Mimi, Joe, and T.K.-- forced to battle Myotismon, a villain who wants to prevent the group from activating greater powers by capturing the eighth DigiDestined child from the Real World. Using a dimensional gate, Myotismon and the kids journey between Worlds, attacking and defending as they go. Finally back in the Digital World, Myotismon is defeated and the eighth DigiDestined child is revealed. But just as the kids think their job is finished, they look up to see the Digiworld upside down and realize they must fix things in the Digital World before the Real World can return to normal! Engaging long-time fans and uncovering the next generation of Digimon viewers, these DVD and digital releases at long last deliver one of the longest-running Japanese anime properties to animation fans everywhere.